Grenades are currently not implemented, as we don't have throwing in the game. Yes. True, this is a known issue and the team is working on a fix. Yes, it is necessary to finally give some real gameplay around the lockpicks. They are very much overpowered so far. It was not intended to be a restart and there have been false estimates on our side, if I refer back to the expectations for 2018 we shared in November 2017. Several features estimated to be done in BETA had to be pushed back. If we communicated DayZ 1.0 as "DayZ 2.0" or our "second alpha" or "full release" - no naming will change the facts that the BETA and 1.0 versions did not have the same content/features that have been developed over 5 years for the legacy version of the game. There are obviously way more factors involved, but ultimately players have been disappointed because expectations have not been met. This again leads us to the only compromise, to promise less in the future and continue to work hard to deliver in the post-release development. Regarding the "20/20 hindsight", naturally we use post-mortems and internal feedback to figure out where mistakes have been made. In the large scope of things this lesson is probably not to change technology during development. But starting off with legacy technology, and after more than 5 years it becomes difficult to estimate where DayZ as a project and brand would be today if we had decided to take a different path, in whatever direction. It's easy to say it would be better, but the realities of game development are bound come up with this ambitious project, no matter what appears to be the "easy street". So yeah, the only way for us leads forward. The devs are still in the office every day and determined to make DayZ the best game possible. @hemmo, please keep it cool (for discussions on that please PM me). @eno, please keep it down with false/uninformed statements (for discussions on that please PM me). You are still free to share your opinion, experiences, emotions and feelings here and you obviously don't hold back with it. We are very aware of the frustration around last years release, but the only right way goes forward, and we will continue to improve the game with updates. We read and reply to your feedback every day, we have game streams running in our office every day, we develop, test and play the game ourselves. We might not know what's happening in every players mind, but we have a pretty solid knowledge of the general opinions in the community and the state of the game. Just speaking numbers, so far (since the release) we see an improvement in the average player numbers which is better than anything we had in the last two and a half years (and this is NOT including the new players on Xbox). This does not mean we are leaning back or complimenting ourselves, we know about the hundreds of issues and missing contents/features in the game and work every day on making the game better. We did not do a good job in terms of managing expectations on "how fast" updates would come out post-release. But as I already wrote in other topics, our update rate evidently increased compared to the development before 0.63. Still, game development remains a challenging task and DayZ with all its features remains a challenging project and takes its time. This is a known issue, which the team is looking into. Server crashes cause the locks to be bugged. This update will be connected to a server downtime of 15-30 minutes. No wipes are planned. The update pace has increased since the release. Between 2016 and 2018 we were only able to release one Stable update roughly every 6 months, due to the work on the legacy engine. Now, 4 months into 2019, we already have two with the third on the way. But yeah, we are practically developing a new game from scratch with the version you've been able to play since 0.63. It will take time, though we know that's not what players want to see from a game that's been available for more than 5 years now. There's still quite a few animations missing for stabbing with both one-handed and two-handed weapons. For the first iteration we prioritised the swinging/slashing animations as they can be used more realistic by all kinds of weapons. With the upcoming updates we'll hopefully be able to expand on this, to give individual weapons a more unique feel. Please keep in mind that you are writing in the Xbox section. @murdering isolation, can you please check which version you currently have loaded and if all your server filter settings are correct? Please don't do advertisement in public discussion threads, moved. The widening view will not return, same goes for the aiming deadzone and mouse smoothing. FOV can be adjusted in the options menu. That might only be my personal experience, but holding Shift for sprint, W for movement, Alt for free-look and mouse for zoom was pretty much all I did while moving through Chernarus and it's still what you see when you watch players on twitch etc. I'm not saying it's a desired state or easy to do especially when it comes to older or less flexible players, but it's pretty common for DayZ, as there are still this many options and they have to be bound to certain keys. As we already said, toggles are implemented to make this easier. Gamma abuse WAS massive before, we are still gathering information on remaining exploits. This is practically a fight against both hardware and software technology, and while you can probably never completely rule out any exploit, we want to make it as difficult as possible, which is why we are asking for reports on it. There are so many different screen models and software/hardware configurations out there that it's not possible resource-wise to "just test all of them". Precise reproduction steps are the way to go. If you have any possibilities for efficient gamma abuse, submit it with screenshots to our Feedback Tracker. 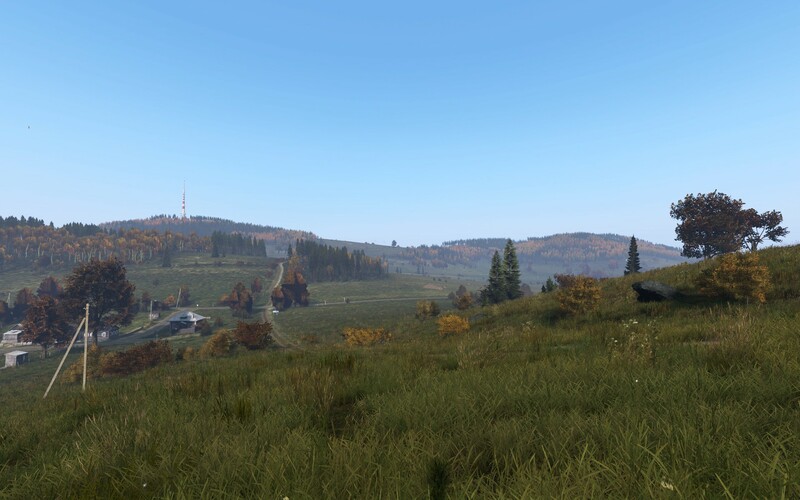 We are not saying that our solution is optimal and it will need further tweaking, but we intend to make DayZ a fair playground and not ignore exploits. The team is aware of the issue (as a roleplayer it's one of my personal issues as well), and we will hopefully see the return of the walk-toggle soon. 🙂 You have several issues here. TrackIR is third party software/hardware support, which cannot be a priority at this stage (we have a first implementation though). We are aware of certain control difficulties and are working on that (e.g. the return of the ADS toggle with 1.02). This is not about discouraging certain playstyles, but creating an immersive gameplay where players intuitively resemble their intentions in-game. Did you check your firewall settings for DayZ and the server filter settings in-game? I personally doubt I could walk off a knife stab that easily, not even mentioning any type of gunfire. But this is a game. And you are ignoring that more than half of the players health is gone and he is bleeding. The team is getting to it, but just you are discussing 5 different topics with us that need design attention. It's a lot of work and will be handled over time. Those kill as well, we are talking about 12 gauge shotgun slugs, mostly used for hunting deer and pigs. If the player is not wearing a helmet, any shot to the head will knock them out. We want helmets to give a certain protective value against projectiles. So once a player is wearing a helmet, you will have to use stronger projectiles to achieve an effect. Because of the massive gamma abuse. For this reason any general increase in lighting is sadly not possible. Short range lighting is a compromise to make gamma abuse redundant, while still offering players trapped in the dark (for whatever reason) a gameplay environment in which they can make reasonable decisions without having to stumble through complete blackness. Light sources still increase lighting way more efficient. It is specifically to help players find a light source and offer sufficient motivation to continue on and find a light source. We are looking into further balancing of the light.